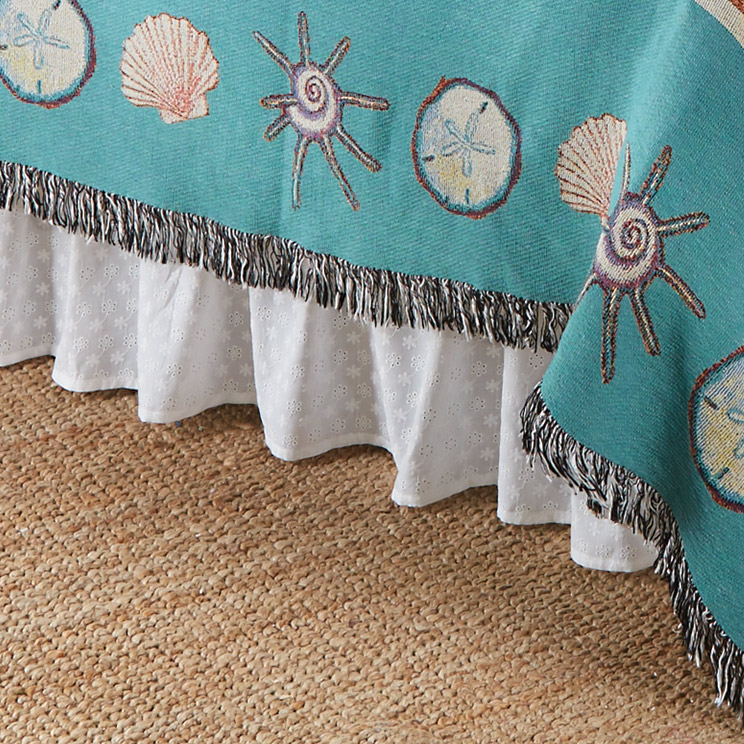 A Bella Coastal Decor Exclusive - Bright white eyelet lace adds charm to this 100% cotton bedskirt. Dry clean. Measures 39"W x 76"L x 16"H.